If you follow this blog at all you know my passion for Sandhill Cranes. Every spring I get so excited about the migration through NE. For the last three years there have been a pair of cranes that have built a nest in SW Wisconsin not far from my folks cabin. Now when I go for a little trout fishing I hope that they have returned. This year did not disappoint. They were there. 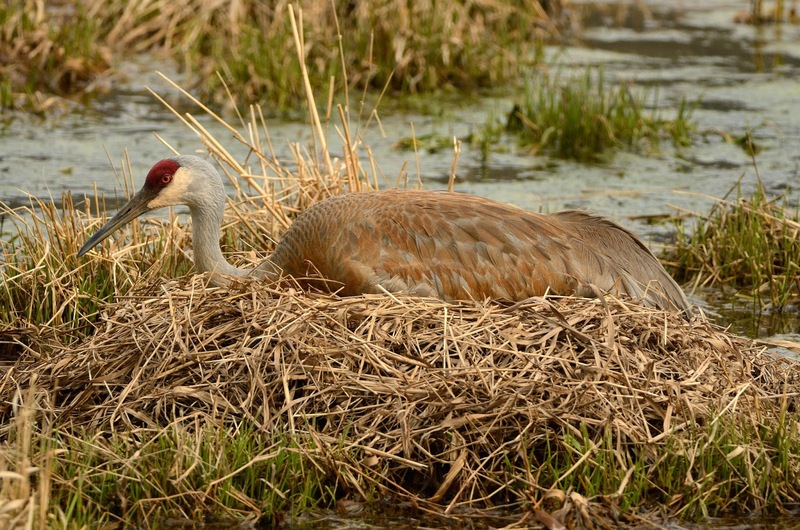 Cranes build nests in marshy areas. This one is just off the road. It is almost too close. But they must feel safe and secure. I hope to get a good view of the colts when they are born.